Rural dog-trot in Calcasieu Parish, La. Dogtrots are found throughout the rural South and Appalachia; however, New Orleans dogtrots are unique in use and construction from all other dogtrots in the country. It is theorized that the dog-trot house has its origins in the middle colonies (Pennsylvania, Delaware, New Jersey and Maryland). It originated as a log cabin prototype in the late 1600’s to the early 1700’s introduced by German settlers. The tradition of log building began to spread south and west with migrating Germans and Scots-Irish in the 1730’s. 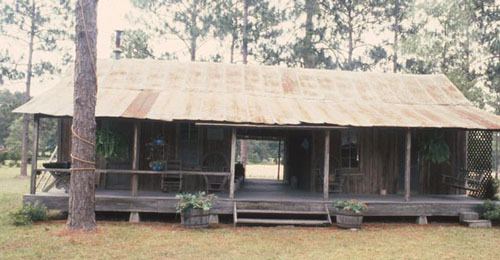 A dogtrot house historically consisted of two log cabins connected by a breezeway under a common roof. 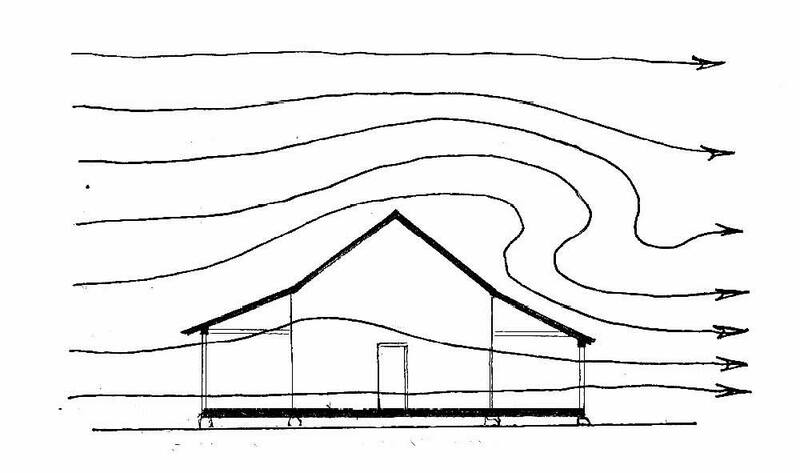 Developed in response to the climate, the dogtrot-style house utilized a passive ventilation strategy that took advantage of prevailing wind patterns. All spaces opened to the north-south aligned breezeway to allow a constant breeze to flow through it. This was a primitive form of air conditioning to keep the house cool during the hot humid summers of the middle and lower South. The dog trot house was very successful in creating passive ventilation where the air accelerating through the central breezeway, much like the way the flow of water runs through a narrow stream bed, would pull air through the adjoining spaces keeping the interior spaces cool. This makes a good prototype for those considering building energy efficient homes. In the South, dogtrot houses have a covered breezeway open to the air at each end, between two rooms under one roof, one story high. One of the living areas consisted of sleeping rooms and the other was where the family gathered to eat and entertain guests. In vernacular terms, the open space forms part of the natural setting and climate; it is particularly comfortable in providing shade and ventilation. The open area serves as a gathering area during the long hot, humid summers and it was the favorite sleeping spot of the family dogs who also found shade from the sun during the day, hence, the word “dogtrot”. According to folklore, dogtrots earned their name because you could hear the family dog walking through the breezeway. The style gained popularity among plantation owners in rural Louisiana who favored dog-trots as their homes. The central passageway served for additional work space and an area to saddle and bridle horses. Urban dog-trot houses were adapted to fit city living. With smaller lots, New Orleans dog-trots are urban variations resembling of a dog-trot Creole cottage with breezeways that are 2 to 3 feet wide which served as a pass-through to the back of the property at the same taking advantage of its natural cooling effect. All spaces opened to the breezeway for air circulation. This was a primitive form of air conditioning to keep the house cool during the hot humid summers of the middle and lower South. The dog trot house was very successful in creating passive ventilation where the air accelerating through the central breezeway, much like the way the flow of water runs through a narrow stream bed, would pull air through the adjoining spaces keeping the interior spaces cool. This makes a good prototype for those considering building energy efficient homes. Despite this distinction, dog-trots are among the rarest type of house forms in New Orleans. Dog-trots are generally found in rural areas of Louisiana and New Orleans is considered the only city to adapt the dog-trot to its urban fabric incorporating the central passageway into Creole cottages. Most are concentrated around the Mid-City/Treme boundary and in the Lower Garden District, although a few are found in the Faubourg Marigny and New Marigny neighborhoods. Freed African-American and blue-collar owners adapted their houses to their increasing wealth by applying Classical, Greek Revival, and Italianate-style decoration, and enclosing the passageway. Modern dog-trots maintain the traditional central passageway concept as a passive cooling feature while incorporating modern and sustainable materials. 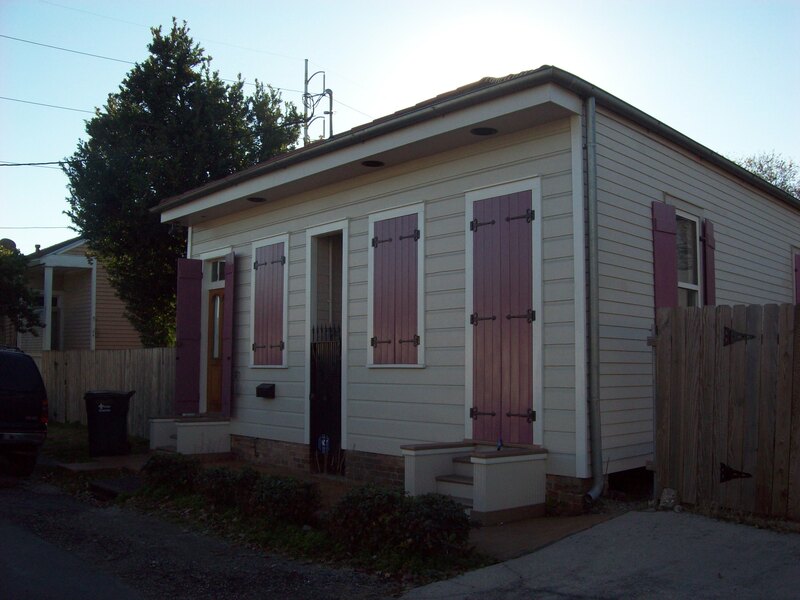 Nevertheless, the dogtrot house is an intrinsic example of vernacular architecture in New Orleans. Further research will continue to yield more answers about its true origins and connections to folk architecture of the rural South. 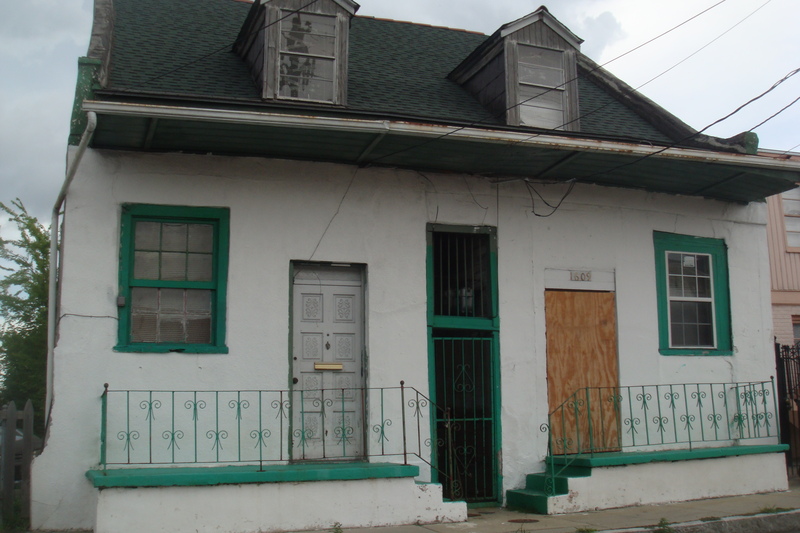 The house marked Faubourg-Marigny Dog-Trot in the caption is actually in the Treme, on St Ann street. Thank you for your comment Phillip. We will make the correction noted. We hope that you can come back for future postings. « What you need to know about the building permit process. A blog about architectural design, construction, energy conservation, and technology.